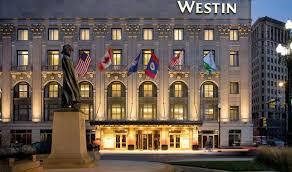 Be sure to reserve your space at the Conference Hotel, Westin Book Cadillac Detroit, right away. Let them know that you are with VSA in order to get the discounted rate of $185/night. The hotel is the perfect environment for learning and networking. Built in 1924 and lovingly restored, The Westin Book Cadillac Detroit is a historic landmark in the heart of the city's resurgent downtown district. When not in conference sessions, enhance your well-being with a visit to The Spa Book Cadillac, move well in the WestinWORKOUT® Fitness Studio or take a dip in the heated indoor pool. Unforgettable dining options include a sophisticated steakhouse restaurant and downtown Detroit's only Starbucks® Reserve Store. Should you wish to explore, the hotel is a short walk from Comerica Park and Ford Field, as well as the Cobo Center and Detroit's scenic RiverWalk. Or, if you prefer, call the Central Reservation Line at (888) 627-7150 and reference "Visitor Studies Association".